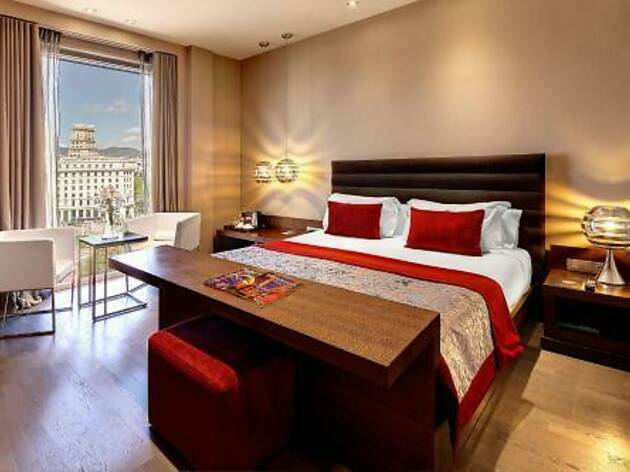 Situated on Plaza Catalunya in the centre of Barcelona, the Hotel Olivia Plaza offers free Wi-Fi and a terrace bar with views of Santa Ana Church. Stylish rooms include a flat-screen TV. This design hotel serves a buffet breakfast and guests can also order breakfast to the room. The modern Nineteen restaurant offers Mediterranean cuisine. 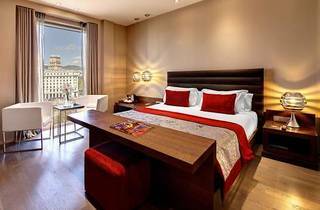 The chic rooms at the Olivia Hotel Barcelona include a free safe and views over the square. They are also equipped with a sofa or armchair and a breakfast table. Guests at Olivia Plaza Hotel have free access to Holmes Place Urquinaona gym, located 500 metres from the hotel. Guests can make free use of the pool area and fitness room there. The Olivia Plaza Barcelona is just 100 metres from the famous Ramblas with its many restaurants and street performers. Catalunya Metro Station is 2 minutes’ walk from the hotel and the Gothic Quarter is less than 10 minutes away.